The Rhine is the longest river in Europe used by eels and historically was one of the most important eel habitats on this continent. It now provides a case-study of what went wrong for the eel in Europe. This river basin as a habitat for eels has been greatly impacted by physical modification and pollution. The Rhine river has been heavily modified for navigation, flood protection, and hydroelectric power – and is almost 90Km shorter than it once was. Over 30 million people depend on it for drinking water and getting of waste water. It is one of the most intensively used rivers in Europe, and was once so polluted that it was named as ‘the sewer of Europe”. The Sandoz chemical spill occurred in 1986 and killed most aquatic life along 400km of the river. In November 1986 a large fire broke out in the Sandoz chemical factory in Basel, Switzerland. Between 10,000 and 15,000 cubic meters of water, mixed with insecticides and other chemicals stored in the warehouse, entered the Rhine through the Sandoz sewer system. The chemicals formed a red toxic trail 70 km long and resulted in severe pollution of the River Rhine down to the North Sea. The chemicals caused a massive mortality of wildlife downstream, including a large proportion of the European eel population in the Rhine. Over 150,000 dead eels washed up along the banks of the Rhine. However, most were never found and this was a catastrophic event for the eel and other aquatic dependent wildlife on the Rhine. It also, of course, affected drinking water supplies, agriculture and recreational activities in the catchment. Indeed, the Sandoz chemical spill remains one of Europe’s worst environmental disasters. The video below shows some of the images which are available from the disaster. A newspaper at the time used the headline Mord am Rhien (or Murder on the Rhine). As following all mistakes, lessons were learned – and retributions were paid, with Sandoz’s insurers paying over €30 million in compensation and to a fund for ecological research. However, the value of the eels (and other wildlife) killed could not of course be estimated and this kill may have been a tipping point for the species which entered a dramatic decline in the 1980’s. 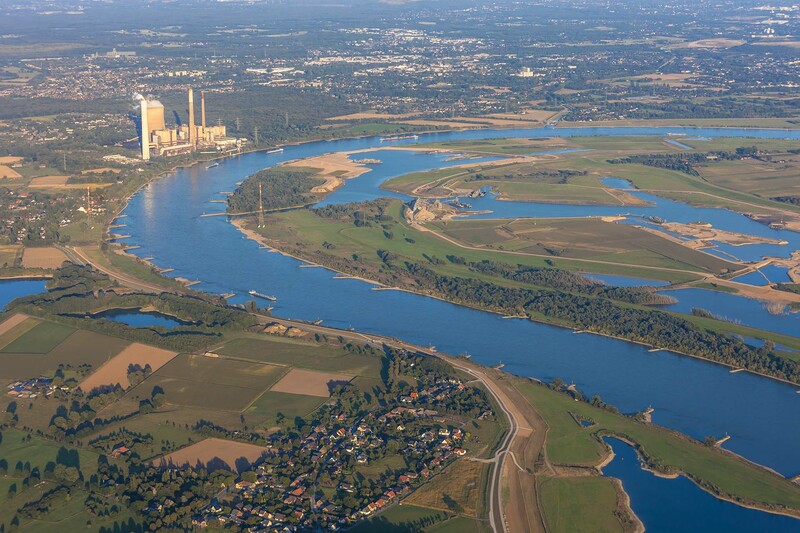 The Sandoz chemical spill was a pivotal point in the management of this great river, and since then countries surrounding the Rhine river have worked together to manage, monitor and regulate activities along the river. By 2006, the Rhine was declared once again a “living river” by the International Commission for the Protection of the Rhine. However, water quality in the river is still in a generally unsatisfactory condition mainly due to fertilizer and pesticide runoff from farms. Indeed it has been estimated that about one-third of all nitrogen discharged into the North Sea comes from the Rhine. It is also degraded physically and access for migratory fish into the river is restricted due to the presence of barrages. The European Eel is of course now a critically endangered species. The Sandoz spill was an acute event affecting eels at at a very sensitive time for the species, but it has been mainly the cumulative impact of habitat and the blocking of migration pathways accross Europe which has pushed this species to its current critically endangered status. Eels also continue to be killed on the upper River Rhine by hydroelectric power stations. Indeed some 25,000 hydroelectric stations across Europe are continuing to kill hundreds of thousands of critically endangered eels on their spawning migration. Hydro schemes, barrages and other barriers also block the upstream migration of elvers and millions of young eels probably die unseen below these obstacles each year. This Mord Am Aal must be stopped!